01. 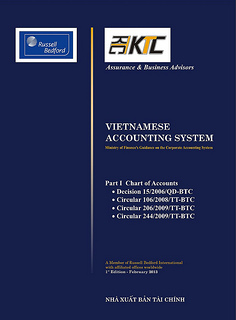 The objective of this Standard is to prescribe the accounting policies and procedures in relation to provisions, contingent liabilities and contingent assets in terms of Recognition, Measurement, Reimbursements, Changes in Provisions, Use of Provisions, and Application of the Recognition and Measurement Rules as a basis for the presentation and disclosure of financial statements. b) those covered by another Standard. 03. This Standard does not apply to financial instruments (including guarantees) that are within the scope of VAS on Financial Instruments. (c) VAS 06, Leases. However, for operating leases that have become onerous, this Standard shall apply. 05. Some amounts treated as provisions may relate to the recognition of revenue, for example warranty. VAS 14 “Revenue and Other Incomes” shall apply in the circumstances. 06. This Standard applies to provisions for business restructuring (including discontinued operation). Where a restructuring meets the definition of a discontinued operation, additional disclosure is required in accordance with the guidance of current accounting standards. An obligating event is an event that creates a legal or constructive obligation that results in an enterprise having no realistic alternative to settling that obligation. A constructive obligation is an obligation that derives from an enterprise's actions where by published policies or a sufficiently specific current statement, the enterprise has indicated to other parties that it will accept and discharge certain responsibilities. A contingent asset is a possible asset that arises from past events and whose existence will be confirmed only by the occurrence or non-occurrence of one or more uncertain future events not wholly within the control of the enterprise. 08. Provisions can be distinguished from liabilities such as accounts payable-trade, borrowing… because payables are almost certain in timing and amount while for provisions there is no such certainty. 09. In a general sense, all provisions are contingent because they are uncertain in timing or amount. However, within this Standard the term ‘contingent' is used for liabilities and assets that are not recognised because their existence will be confirmed only by the occurrence or non-occurrence of one or more uncertain future events not wholly within the control of the enterprise. In addition, the term ‘contingent liability' is used for liabilities that do not meet the recognition criteria. (b) Contingent liabilities - which are not recognised as liabilities because liabilities are normal occurrence while contingent liabilities are not possible obligations. 12. In rare cases it is not clear whether there is a present obligation. In these cases, a past event is deemed to give rise to a present obligation if, taking account of all available evidence, it is certain that a present obligation exists at the balance sheet date. (b) Where it is certain that no present obligation exists at the balance sheet date, the enterprise discloses a contingent liability, unless the possibility of an outflow of resources embodying economic benefits is remote (see paragraph 81). (b) In the case of a constructive obligation, where the event (which may be an action of the enterprise) creates valid expectations in other parties that the enterprise will discharge the obligation. 15. Financial statements deal with the financial position of an enterprise at the end of its reporting period and not its possible position in the future. Therefore, no provision is recognised for costs that need to be incurred to operate in the future. The only liabilities recognised in an enterprise's balance sheet are those that exist at the balance sheet date. 16. It is only those obligations arising from past events existing independently of an enterprise's future actions that are recognised as provisions. Examples of such obligations are penalties or clean-up costs for unlawful environmental damage, both of which would lead to an outflow of resources embodying economic benefits in settlement regardless of the future actions of the enterprise. Similarly, an enterprise recognises a provision for the decommissioning costs as a consequence of reallocation or restructuring. In contrast, for expenditure carried out by an enterprise to operate in a particular way in the future (for example, by fitting smoke filters in a certain type of factory) because of commercial pressures or legal requirements, no provision is recognised. Because the enterprise can avoid the future expenditure by its future actions, for example by changing its method of operation, it has no present obligation for that future expenditure and no provision is recognised. 17. An obligation always involves another party to whom the obligation is owed. It is not necessary, however, to know the identerprise of the party to whom the obligation is owed - indeed the obligation may be to the public at large. Because an obligation always involves a commitment to another party, it follows that a management or board decision does not give rise to a constructive obligation at the balance sheet date unless the decision has been communicated before the balance sheet date to those affected by it. 18. An event that does not give rise to an obligation immediately may do so at a later date, because of changes in the law or because an act by the enterprise gives rise to a constructive obligation. For example, when environmental damage is caused there may be no obligation to remedy the consequences. However, the causing of the damage will become an obligating event when a new law requires the existing damage to be rectified or when the enterprise publicly accepts responsibility for rectification in a way that creates a constructive obligation. 19. For a liability to qualify for recognition there must be not only a present obligation but also the probability of an outflow of resources embodying economic benefits to settle that obligation. For the purpose of this Standard, an outflow of resources or other event is regarded as probable if the event is more likely than not to occur. Where it is not probable that a present obligation exists, an enterprise discloses a contingent liability, unless the possibility of an outflow of resources embodying economic benefits is remote (see paragraph 81). 20. Where there are a number of similar obligations (e.g. product warranties or similar contracts) the probability that an outflow will be required in settlement is determined by considering the class of obligations as a whole. Although the likelihood of outflow for any one item may be small, it may well be probable that some outflow of resources will be needed to settle the class of obligations as a whole. If that is the case, a provision is recognised (if the other recognition criteria are met). 21. The use of estimates is an essential part of the preparation of financial statements and does not undermine their reliability. This is especially true in the case of provisions, which by their nature are more uncertain than most other balance sheet items. Except in extremely rare cases, an enterprise will be able to determine a range of possible outcomes and can therefore make an estimate of the obligation that is sufficiently reliable to use in recognising a provision. 22. In the extremely rare case where no reliable estimate can be made, a liability exists that cannot be recognised. That liability is disclosed as a contingent liability (see paragraph 81). 23. An enterprise shall not recognise a contingent liability. 24. A contingent liability is disclosed, as required by paragraph 81, unless an outflow of resources embodying economic benefits has occurred. 25. Where an enterprise is jointly and severally liable for an obligation, the part of the obligation that is expected to be met by other parties is treated as a contingent liability. The enterprise recognises a provision for the part of the obligation for which an outflow of resources embodying economic benefits is probable, except in the extremely rare circumstances where no reliable estimate can be made. 26. Contingent liabilities may develop in a way not initially expected. Therefore, they are assessed continually to determine whether an outflow of resources embodying economic benefits has become probable. If it becomes probable that an outflow of future economic benefits will be required for an item previously dealt with as a contingent liability, a provision is recognised in the financial statements of the period in which the change in probability occurs (except in the extremely rare circumstances where no reliable estimate can be made). 27. An enterprise shall not recognise a contingent asset. 28. Contingent assets usually arise from unplanned or other unexpected events that give rise to the possibility of an inflow of economic benefits to the enterprise. An example is a claim that an enterprise is pursuing through legal processes, where the outcome is uncertain. 29. Contingent assets are not recognised in financial statements since this may result in the recognition of income that may never be realised. However, when the realisation of income is virtually certain, then the related asset is not a contingent asset and its recognition is appropriate. 30. A contingent asset is disclosed, as required by paragraph 84, where an inflow of economic benefits is probable. 31. Contingent assets are assessed continually to ensure that developments are appropriately reflected in the note to financial statements. If it has become virtually certain that an inflow of economic benefits will arise, the asset and the related income are recognised in the financial statements of the period in which such inflow of economic benefits is probable (see paragraph 84). 32. The amount recognised as a provision shall be the best estimate of the expenditure required to settle the present obligation at the balance sheet date. 33. The best estimate of the expenditure required to settle the present obligation is the amount that an enterprise would rationally pay to settle the obligation at the balance sheet date or to transfer it to a third party at that time. It will often be impossible or prohibitively expensive to settle or transfer an obligation at the balance sheet date. However, the estimate of the amount that an enterprise would rationally pay to settle or transfer the obligation gives the best estimate of the expenditure required to settle the present obligation at the balance sheet date. 34. The estimates of outcome and financial effect are determined by the judgement of the management of the enterprise, supplemented by experience of similar transactions and, in some cases, reports from independent experts. The evidence considered includes any additional evidence provided by events after the balance sheet date. 35. Uncertainties surrounding the amount to be recognised as a provision are dealt with by various means according to the circumstances. Where the provision being measured involves a large population of items, the obligation is estimated by weighting all possible outcomes by their associated probabilities (‘expected value' method). The provision will therefore be different depending on whether the probability of a loss of a given amount is, for example, 60 per cent or 90 per cent. Where there is a continuous range of possible outcomes, and each point in that range is as likely as any other, the mid-point of the range is used. An enterprise sells goods with a warranty under which customers are covered for the cost of repairs of any manufacturing defects that become apparent within the first six months after purchase. If minor defects were detected in all products sold, repair costs of 1 million would result. If major defects were detected in all products sold, repair costs of 4 million would result. The enterprise's past experience and future expectations indicate that, for the coming year, 75 per cent of the goods sold will have no defects, 20 per cent of the goods sold will have minor defects and 5 per cent of the goods sold will have major defects. In accordance with paragraph 20, an enterprise assesses the probability of an outflow for the warranty obligations as a whole. 36. Where a single obligation is being measured, the individual most likely outcome may be the best estimate of the liability. However, even in such a case, the enterprise considers other possible outcomes. Where other possible outcomes are either mostly higher or mostly lower than the most likely outcome, the best estimate will be a higher or lower amount. For example, if an enterprise has to rectify a serious fault in a major plant that it has constructed for a customer, the individual most likely outcome may be for the repair to succeed at the first attempt at a cost of 1m but a provision for a larger amount is made if there is a significant chance that further attempts will be necessary. 37. The provision is measured before tax, as the tax consequences of the provision, and changes in it, are dealt with under VAS 17 Income Taxes. 38. The risks and uncertainties that inevitably surround many events and circumstances shall be taken into account in reaching the best estimate of a provision. 39. Risk describes variability of outcome. A risk adjustment may increase the amount at which a liability is measured. Caution is needed in making judgements under conditions of uncertainty, so that income or assets are not overstated and expenses or liabilities are not understated. However, uncertainty does not justify the creation of excessive provisions or a deliberate overstatement of liabilities. For example, if the projected costs of a particularly adverse outcome are estimated on a prudent basis, that outcome is not then deliberately treated as more probable than is realistically the case. Care is needed to avoid duplicating adjustments for risk and uncertainty with consequent overstatement of a provision. 40. Disclosure of the uncertainties surrounding the amount of the expenditure is made under paragraph 80(b). 41. Where the effect of the time value of money is material, the amount of a provision shall be the present value of the expenditures expected to be required to settle the obligation. 42. Because of the time value of money, provisions relating to cash outflows that arise soon after the balance sheet date are more onerous than those where cash outflows of the same amount arise later. Provisions are therefore discounted, where the effect is material. 43. The discount rate (or rates) shall be a pre-tax rate (or rates) that reflect(s) current market assessments of the time value of money and the risks specific to the liability. The discount rate(s) shall not reflect risks for which future cash flow estimates have been adjusted. 44. Future events that may affect the amount required to settle an obligation shall be reflected in the amount of a provision where there is sufficient objective evidence that they will occur. 45. Expected future events may be particularly important in measuring provisions. For example, an enterprise may believe that the cost of disposing of an asset at the end of its life will be reduced by future changes in technology. The amount recognised reflects a reasonable expectation of technically qualified, objective observers, taking account of all available evidence as to the technology that will be available at the time of the disposal. Thus it is appropriate to include, for example, expected cost reductions associated with increased experience in applying existing technology or the expected cost of applying existing technology to a larger or more complex disposing operation than has previously been carried out. However, an enterprise does not anticipate the development of a completely new technology for the disposing unless it is supported by sufficient objective evidence. 46. The effect of possible new legislation is taken into consideration in measuring an existing obligation when sufficient objective evidence exists that the legislation is virtually certain to be enacted. The variety of circumstances that arise in practice makes it impossible to specify a single event that will provide sufficient, objective evidence in every case. Evidence is required both of what legislation will demand and of whether it is virtually certain to be enacted and implemented in due course. In many cases sufficient objective evidence will not exist until the new legislation is enacted. 47. Gains from the expected disposal of assets shall not be taken into account in measuring a provision. 48. Gains on the expected disposal of assets are not taken into account in measuring a provision, even if the expected disposal is closely linked to the event giving rise to the provision. Instead, an enterprise recognises gains on expected disposals of assets at the time specified by a relevant accounting standard dealing with the assets concerned. 49. Where some or all of the expenditure required to settle a provision is expected to be reimbursed by another party, the reimbursement shall be recognised when, and only when, it is virtually certain that reimbursement will be received if the enterprise settles the obligation. The reimbursement shall be treated as a separate asset. The amount recognised for the reimbursement shall not exceed the amount of the provision. 50. In the income statement, the expense relating to a provision may be presented net of the amount recognised for a reimbursement. 51. Sometimes, an enterprise is able to look to another party to pay part or all of the expenditure required to settle a provision (for example, through insurance contracts, indemnity clauses or suppliers' warranties). The other party may either reimburse amounts paid by the enterprise or pay the amounts directly. 52. In most cases the enterprise will remain liable for the whole of the amount in question so that the enterprise would have to settle the full amount if the third party failed to pay for any reason. In this situation, a provision is recognised for the full amount of the liability, and a separate asset for the expected reimbursement is recognised when it is virtually certain that reimbursement will be received if the enterprise settles the liability. 53. In some cases, the enterprise will not be liable for the costs in question if the third party fails to pay. In such a case the enterprise has no liability for those costs and they are not included in the provision. 54. As noted in paragraph 25, an obligation for which an enterprise is jointly and severally liable is a contingent liability to the extent that it is expected that the obligation will be settled by the other parties. 55. Provisions shall be reviewed at each balance sheet date and adjusted to reflect the current best estimate. If it is no longer probable that an outflow of resources embodying economic benefits will be required to settle the obligation, the provision shall be reversed. 56. Where discounting is used, the carrying amount of a provision increases in each period to reflect the passage of time. This increase is recognised as borrowing cost. 57. A provision shall be used only for expenditures for which the provision was originally recognised. 58. Only expenditures that relate to the original provision are set against it. Setting expenditures against a provision that was originally recognised for another purpose would conceal the impact of two different events. 59. Provisions shall not be recognised for future operating losses. 60. Future operating losses do not meet the definition of a liability in paragraph 07 and the general recognition criteria set out for provisions in paragraph 11. 61. An expectation of future operating losses is an indication that certain assets of the operation may be impaired. The enterprise shall conduct tests of these assets for impairment. 62. If an enterprise has a contract that is onerous, the present obligation under the contract shall be recognised and measured as a provision. 63. Many contracts (for example, some routine purchase orders) can be cancelled without paying compensation to the other party, and therefore there is no obligation. Other contracts establish both rights and obligations for each of the contracting parties. Where events make such a contract onerous, the contract falls within the scope of this Standard and a liability exists which is recognised. Executory contracts that are not onerous fall outside the scope of this Standard. 64. This Standard defines an onerous contract as a contract in which the unavoidable costs of meeting the obligations under the contract exceed the economic benefits expected to be received under it. The unavoidable costs under a contract reflect the least net cost of exiting from the contract, which is the lower of the cost of fulfilling it and any compensation or penalties arising from failure to fulfill it. 65. Before a separate provision for an onerous contract is established, an enterprise recognises any impairment loss that has occurred on assets dedicated to that contract. (d) Fundamental reorganization that have a material effect on the nature and focus of the enterprise's operations. 67. A provision for restructuring costs is recognised only when the general recognition criteria for provisions set out in paragraph 11 are met. Paragraphs 69-78 set out how the general recognition criteria apply to restructurings. (b) Has raised a valid expectation in those affected that it carries out the restructuring by starting to implement that plan or announcing its main features to those affected by it. 69. Evidence that an enterprise has started to implement a restructuring plan would be provided, for example, by dismantling plant or selling assets or by the public announcement of the main features of the plan. A public announcement of a detailed plan to restructure constitutes a constructive obligation to restructure only if it is made in such a way and in sufficient detail (i.e. setting out the main features of the plan) that it gives rise to valid expectations in other parties such as customers, suppliers and employees (or their representatives) that the enterprise will carry out the restructuring. 70. For a plan to be sufficient to give rise to a constructive obligation when communicated to those affected by it, its implementation needs to be planned to begin as soon as possible and to be completed within a given timeframe. If it is expected that there will be a long delay before the restructuring begins or that the restructuring will take an unreasonably long time, it is unlikely that the plan will be implemented within that timeframe. (b) Announced the main features of the restructuring plan to those affected by it in a sufficiently specific manner to raise a valid expectation in them that the enterprise will carry out the restructuring. An enterprise starts to implement a restructuring plan or announces its main features to those affected only disclosure in the note to financial statements after the balance sheet date is required under VAS 23 Events after the Balance Sheet Date. If the restructuring is material but is not disclosed, the fact could influence the economic decisions of users taken on the basis of the financial statements. 72. Although a constructive obligation is not created solely by a management decision, an obligation may result from other earlier events together with such a decision. For example, negotiations with employee representatives for termination payments, or with purchasers for the sale of an operation, may have been concluded subject only to board approval. Once that approval has been obtained and communicated to the other parties, the enterprise has a constructive obligation to restructure, if the conditions of paragraph 68 are met. 73. No obligation arises for the sale of an operation until the enterprise is committed to the sale, i.e. there is a binding sale agreement. 74. Even when an enterprise has taken a decision to sell an operation and announced that decision publicly, it cannot be committed to the sale until a purchaser has been identified and there is a binding sale agreement. Until there is a binding sale agreement the enterprise will be able to take another course of action if a purchaser cannot be found on acceptable terms. When a sale is only part of a restructuring, the assets of the operation need to be reviewed for impairment and a constructive obligation can arise for the other parts of the restructuring before a binding sale agreement exists. 77. Identifiable future operating losses up to the date of a restructuring are not included in a provision, unless they relate to an onerous contract as defined in paragraph 07. 78. As required by paragraph 47, gains on the expected disposal of assets are not taken into account in measuring a restructuring provision, even if the sale of assets is envisaged as part of the restructuring. (e) The increase during the period in the discounted amount arising from the passage of time and the effect of any change in the discount rate. 82. In determining which provisions or contingent liabilities may be aggregated to form a class, it is necessary to consider whether the nature of the items is sufficiently similar for a single statement about them to fulfill the requirements of paragraphs 80(a) and (b) and 81(a) and (b). Thus, it may be appropriate to treat as a single class of provision amounts relating to warranties of different products, but it would not be appropriate to treat as a single class amounts relating to normal warranties and amounts that are subject to legal proceedings. 83. Where a provision and a contingent liability arise from the same set of circumstances, an enterprise makes the disclosures required by paragraphs 79-81 in a way that shows the link between the provision and the contingent liability. 84. Where an inflow of economic benefits is probable, an enterprise shall disclose a brief description of the nature of the contingent assets at the balance sheet date, and, where practicable, an estimate of their financial effect, measured using the principles set out for provisions in paragraphs 32-48. 85. It is important that disclosures for contingent assets avoid giving misleading indications of the likelihood of income arising. 86. Where any of the information required by paragraphs 81 and 84 is not disclosed because it is not practicable to do so, that fact shall be stated. 87. In extremely rare cases, disclosure of some or all of the information required by paragraphs 79-84 can be expected to prejudice seriously the position of the enterprise in a dispute with other parties on the subject matter of the provision, contingent liability or contingent asset. In such cases, an enterprise need not disclose the information, but shall disclose the general nature of the dispute, together with the fact that, and reason why, the information has not been disclosed.